India of Dreams, in association with LegalDesire.com, is proud to announce the launch of the 1st National Essay Writing Competition, 2013. 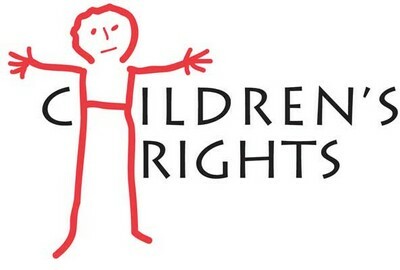 The Competition aims at bringing out some innovative ideas of the youth for the protection of child rights in India. The Essay should contain short Author Biography and Abstract of maximum 250 words. No part of the essay should have been published earlier or be under consideration for publication or in a contest elsewhere. The essay should not be more than 2500 words (excluding footnotes). Footnotes must conform to Bluebook (19th Edition) rules of legal citation and must include a description of each authority adequate to allow a reasonable reader to identify and locate the authority in a publication of general circulation. The font type should be Times New Roman, Font Size 12, with 1.5 line spacing. A margin of 1 inch or 2.54 cm shall be left on all four sides. The footnotes should be in Times New Roman, Font Size 10, with line spacing 1. Plagiarized work will be disqualified. Co-Authorship is allowed but both authors are required to register separately. Essays should be submitted to [email protected] with participant’s name, address, contact details, University in docx or doc format with Subject “National Essay Competition: Child Rights in India” . The Competition is open to all students from India pursuing undergraduate or post graduate course from recognized Universities / Colleges / Departments. Top 20 Participants will get Consolation Prizes from Legal Desire. Participation Certificates for every participant with Legal Desire Merchandise and Gift Cards. Registration fees: Rs.200/- per participant. You Can Pay Registration fees Online via Debit Cards/Credit Cards or Net banking. After Successful Payment please submit the duly filled Registration form with Payment Id. It is mandatory to All Participant to Submit Registration form whether paying Online or Offline. Send the duly filled form & Draft Scan copy to [email protected] before the deadline. Draft also need to reach us before the Registration Deadline.